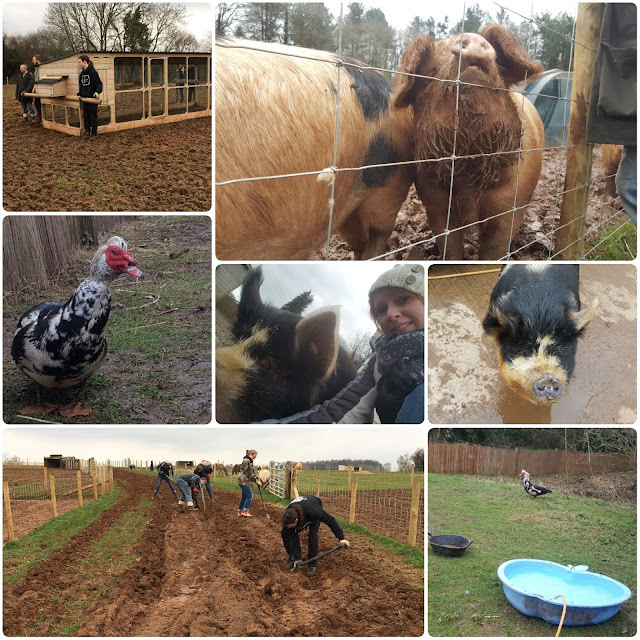 Volunteering - at Dean Farm Trust Sanctuary. This farm is fantastic. 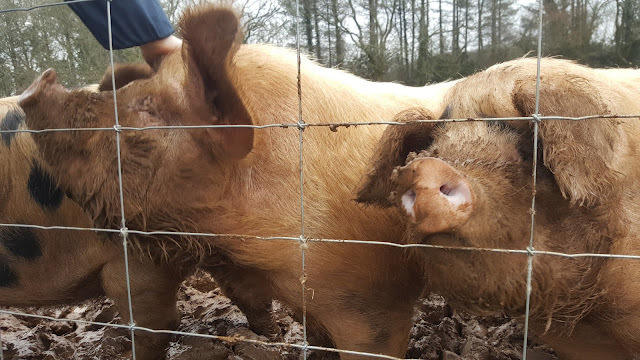 They rescue farm animals from almost certain death. Even sick ones. They have an epileptic pig! I learnt that turkeys are VERY vocal. We arrived a little late and I was assigned cleaning the duck pond. Uh oh I thought. I needn't have worried as the duck "pond" was a very small paddling pool. Once that easy job was done I helped hack away at a track with the other volunteers ready to be turned into a more permanent track. That was tough. But then I helped move a giant hen house. It took 8 of us and I was left with bruised forearms. Over all it was a fantastic couple of hours for a great cause and I'll happily do it again. Achieving a goal - I did it! I achieved my goal of 50 Parkruns before I turned 30. I did it with no weekends to spare. Talk about living on the edge. I am looking forward to recieving my 50 tshirt soon. Caca rouging hair - Putting more henna in my hair has been long overdue. 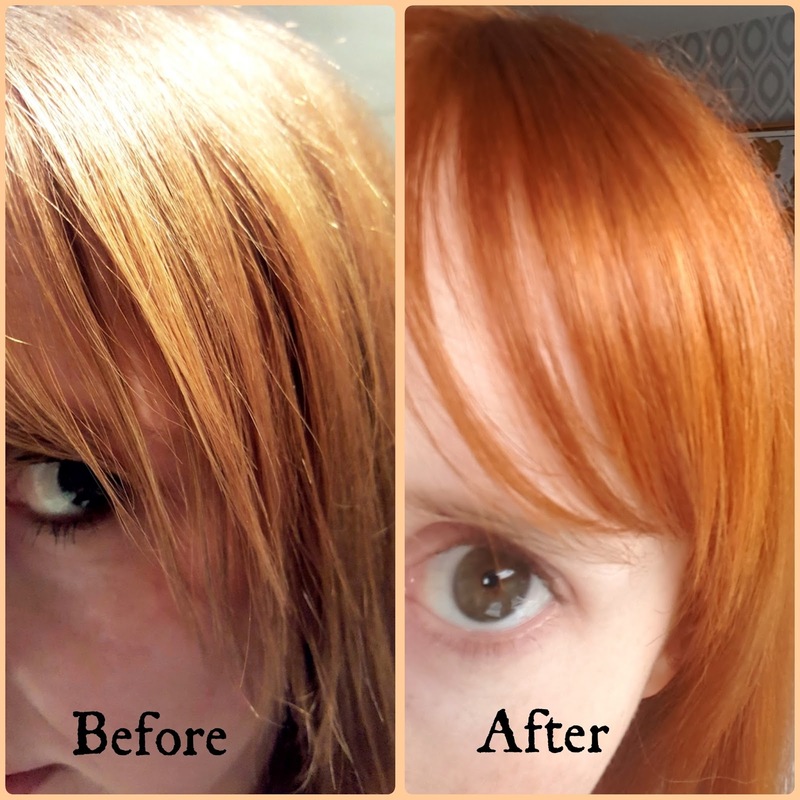 Now I have pretty bright hair and was able to update the pictures on one of my most popular blog posts. I turned 30! Wooo. To celebrate, a bunch of us played archery. It was very, very cold but it was great seeing all my different friends mix. 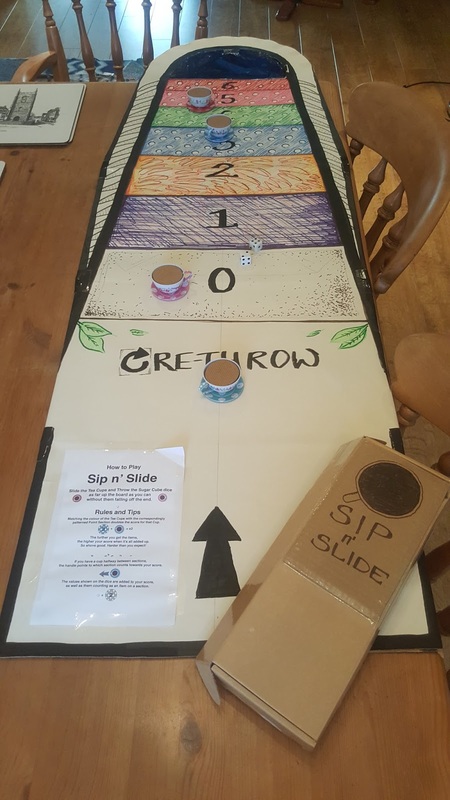 Later in the evening they came back over and we ate vegan snacks, played Jackbox TV and one of my very creative friends made a cool tea themed "Sip & Slide" game. I went bouldering. I already quite enjoy climbing but our nearest climbing centre is quite far away. A small bouldiering centre opened up about 20 minutes away so I went with a friend and loved it. I wasn't very good and my feet got crushed in the tight, tight shoes but I am looking forward to going again and improving. Your hair colour looks incredible! Love it!! Happy belated birthday! It sounds like March was a great month for you, a shame about your gig being postponed for sure but you're right that it definitely gives you something to look forward to! Poor pupper losing her eye too, I hope she's making a quick recovery! Huge well done on your number of park runs, I've recently started committing to running way more, but I've yet to do a park run. Perhaps I should let your achievement inspire me to go along next week! Thank you! Minnie is doing extremely well which is fantastic. As for running, the people are Parkruns are so friendly and supportive so I would highly recommend you pop to your local one. There is also no pressure at all to run all out. Quite a few power-walk it and many (like me) like to run with occasional walking breaks. Your hair looks amazing & happy belated birthday my lovely, I hope you had an amazing day. Thank you. I had a really good birthday. It is rare I get to see so many friends so it really made my month. Your hair looks great! How wonderful that you were able to volunteer at the sanctuary. Those animals are gorgeous. It was a wonderful opportunity. I would really recommend having a look to see where your nearest one is and popping by, even if that is just attending an open day. It all helps. Your hair looks amazing! It turned out so nice :) And wow that's amazing you get to volunteer for such a good cause - even if it is hard work! I need to look into what's around me in terms of volunteering. I would highly recommend it. I had to travel out a bit (just less than 40 mins) to get there but would happily go back. It is just a shame I am too busy to commit to volunteering weekly. Thank you. There are a few different colour henna's available but I have only tried the red one. Ah that sounds fun. It can be tricky in cold weather when your hands are frozen but regardless, it was great.